West Virginians know how to bring the merriment out of Christmas. After all, we are a state rich in traditions. And that’s especially true during the holiday season. Each town or city celebrates the Christmas holiday in its own way. Some keep it small and simple, while others are brightly elaborate. 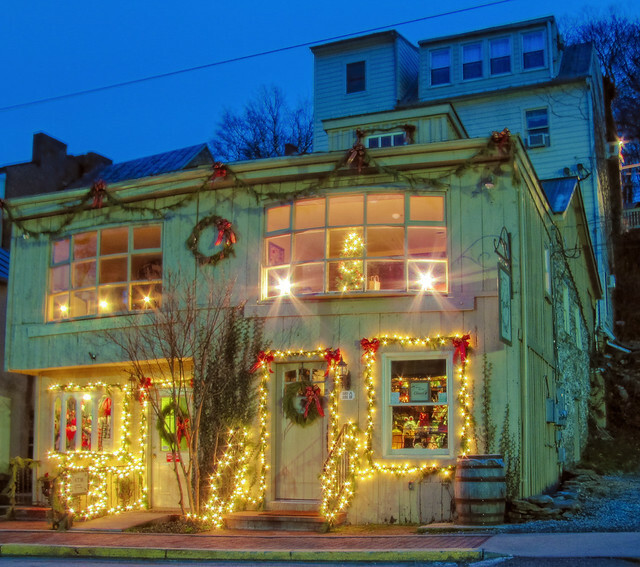 Here are nine West Virginia towns that turn into magical Christmas destinations. 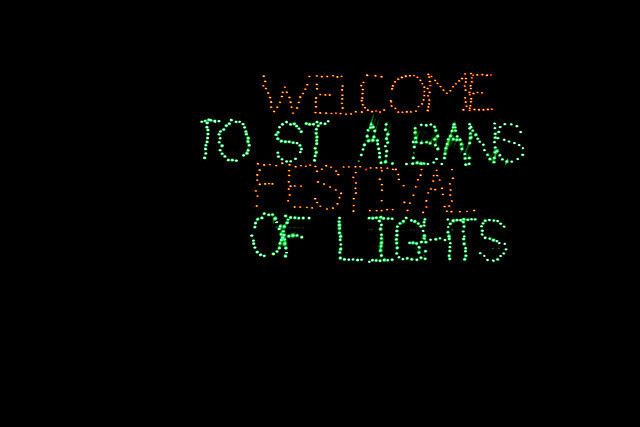 Each year St. Albans rings in the Christmas season with its Festival of Lights. The annual event features thousands of brightly-colored lights. Snapping gators and jumping dolphins make driving through City Park a magical event. Both food and monetary donations are accepted. For $5 you can get your photo taken with Santa. Hot chocolate, cookies and cookies are also available with donation. 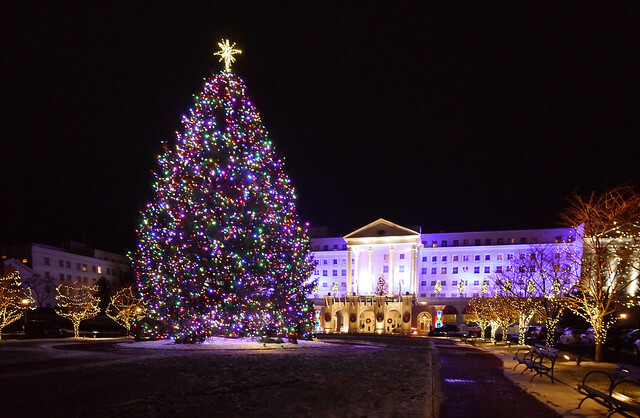 It runs through Dec. 26 at 9 p.m.
White Sulphur Springs and its prestigious resort, The Greenbrier, know how to do Christmas. Thousands of Christmas lights bring delight to young and old. The town and resort offer plenty of seasonal activities including photos with Santa, sleigh rides, a trolley ride that provide an up- close look at the area’s Christmas decorations and more. December is an opportunity to step back in time as the town’s historic homes/mansions are decorated for the holidays. The “Home of the Millionaires” tour of homes will help visitors appreciate the beauty and wealth of this Mercer County community. This year’s annual Christmas Home Tour will be held Dec. 9, 5-9 p.m. Cost is $15 per person. Tickets can be purchased the day of the event at the Presbyterian Church in the middle of town. Hurricane offers visitors not only a annual Christmas parade, but a tree lighting ceremony as well. This year’s parade will be held Dec. 9 at 5 p.m. 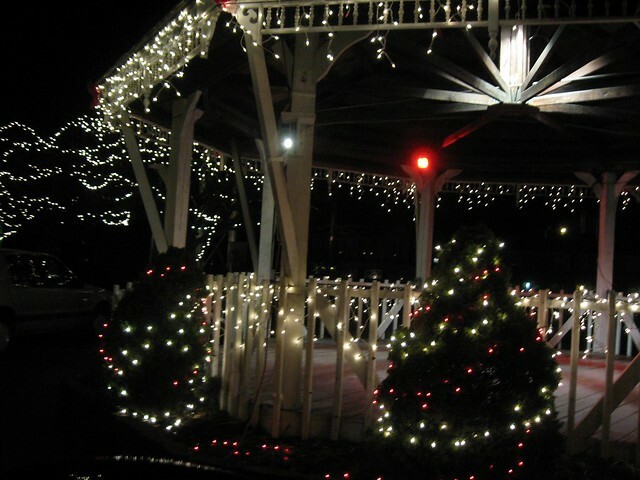 It will be followed by the tree lighting at the town’s gazebo. December 11-13 there be hayrides with Santa, which is being hosted by the Hurricane Volunteer Fire Department. The rides take place each night at 6 p.m., and starting locations will vary. Monday will begin at the Hurricane Town Elementary School, Tuesday at Conner Street Elementary and Wednesday on Main Street. Tickets are now available for the Huntington Holiday Express, a train ride that will be running Dec. 14-17. It’s billed as a chance to ride in historic rail cars, listen to Christmas music and enjoy light refreshments including cocoa and cookies. The hour-long trip runs from Huntington to Barboursville. Tickets are $55 for adults and $45 for children 12 years of age or younger. Contact the Collis P. Huntington Railroad Historical Society Inc. at 304-523-0364 or www.newrivertrain.com to order tickets. The Feast of the Seven Fishes is sponsored by Main Street Fairmont. It is filled with authentic Italian seafood cuisine, traditional holiday music presentations and unique gift-shopping opportunities all in the city’s downtown. Monroe Street comes alive on Dec. 9 at this nationally known holiday event. It is named after the Italian Christmas Eve tradition. Activities get underway at 11 a.m.
There’s something special happening every weekend until Christmas, and most are family-friendly activities. On December 9, 16 and 23 learn about the town’s history by taking a 20 minute horse-drawn carriage ride. The rides are $5 for adults and $3 for children. There will be a Christmas Tea with Miss Manners, Dec. 9, noon until 2 p.m., which includes a proper tea and Colonial dancing. 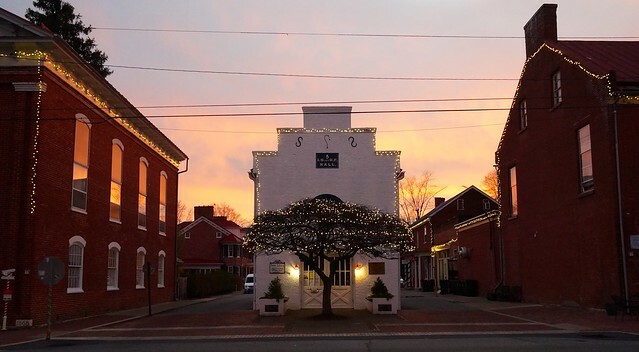 The Historic Shepherdstown Museum at the Entler Hotel is also decorated for the season and open weekends 11 a.m. to 5 p.m. 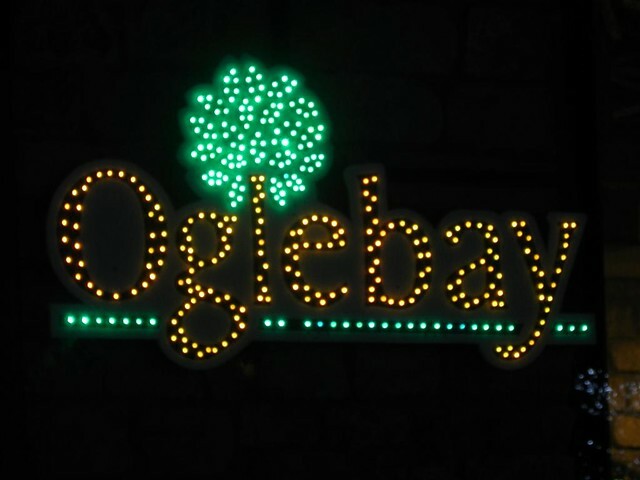 Enjoy tuba Christmas music on the steps of Shepherd University’s McMurran Hall from 1-2 p.m.
Oglebay’s Winter Festival of Lights illuminates the night sky with with more than six miles of beautiful seasonal lights and displays. People come from across West Virginia, as well as bordering states, to drive through the resort. Narrated nightly trolley tours are also available and depart from Wilson Lodge hourly between 5:30-9:30 p.m. Cost is $11 per person, Sunday, and $12 on Saturday and Sunday. Other park features include pictures with Santa, breakfast with Santa, family holiday wagon rides and holiday train rides for kids. It’s time for the 47th Annual Olde Tyme Christmas in this historic Eastern Panhandle town. Every day of the Dec. 9-10 event is packed full of holiday events. Live entertainment and children’s activities are part of the fun. Check some names off your gift list by shopping at the town’s unique shops, which will have extended hours. Take time to enjoy the beautiful Christmas decorations which feature plenty of greenery, red bows and twinkling lights. Lost Creek looks Beautiful at night.They also light up the town on Christmas eve for Santa with candles along the road.